As promised, here's what I'm wearing for Halloween. Sorry guys, no fun ghosts or anything, just some simple orange and black. Like I said, I'm only semi ambidextrous so what I wear is generally pretty simple. I did do a fun orange starburst on my ring fingers though. I painted the orange base-coat, let it dry and then taped off the starbust with scotch tape. Paint over the whole thing with a coat of black polish and then pull up the tape. Perfect starburst every time! So this is what I'm wearing until the end of the trip. Hope you like it as much as I do! 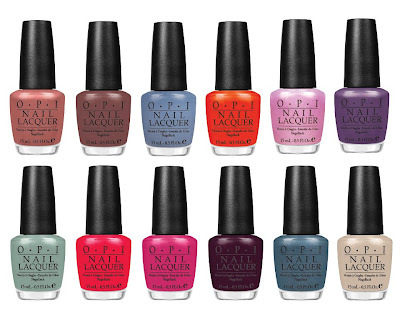 "Muppets, Nicki Minaj, and OPIs Spring 2012 collection, OH MY! This coming February your nails will get a taste of elegance with our feminine & floral collection, Holland! 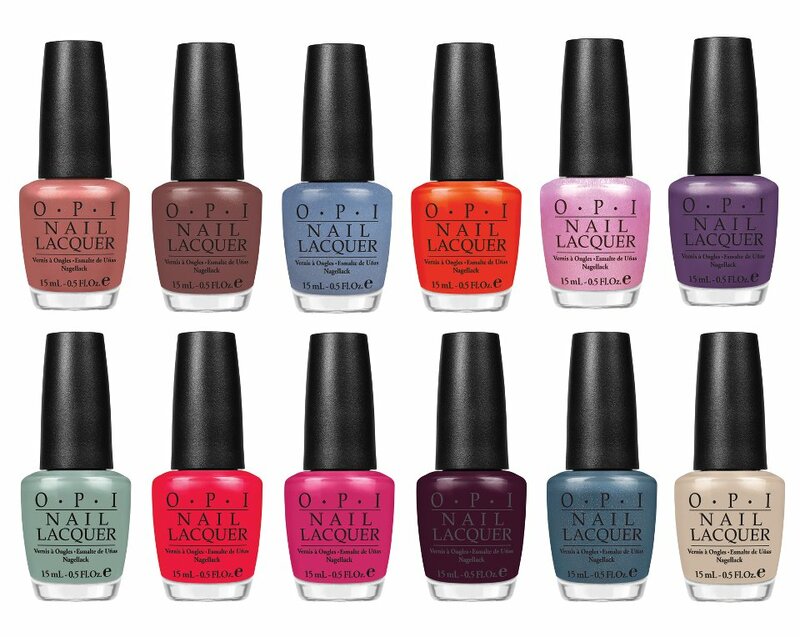 L to R: Gouda Gouda Two Shoes, Wooden Shoes Like to Know It, I Don't Give a Rotterdam, A Roll In The Hague, Petal Faster Suzi, Dutch Ya Just Love OPI, Thanks a WindMillion, Red Lights Ahead...Where?, Kiss Me On My Tulips, Vampsterdam, I Have a Herring Problem, & Did You Hear About Van Gogh?"